Quality markets have a remarkable way of weaving into the fabric of one’s community by connecting both regional food systems and a network of artisanal producers of goods to the economies of metropolitan centers. Markets also serve as efficient economic incubators that contribute to neighborhood development by providing a low overhead venue to launch locally owned micro businesses, which eventually grow into small businesses, many of whom later invest into opening nearby permanent retail locations. Here we highlight the best weekly markets across the Southeast. It is noteworthy to examine just how these markets have evolved. Certain markets have started as initiatives of local municipalities, some are public-private partnerships between city agencies and local non-profits, while others are part of redevelopment strategies of private developers. 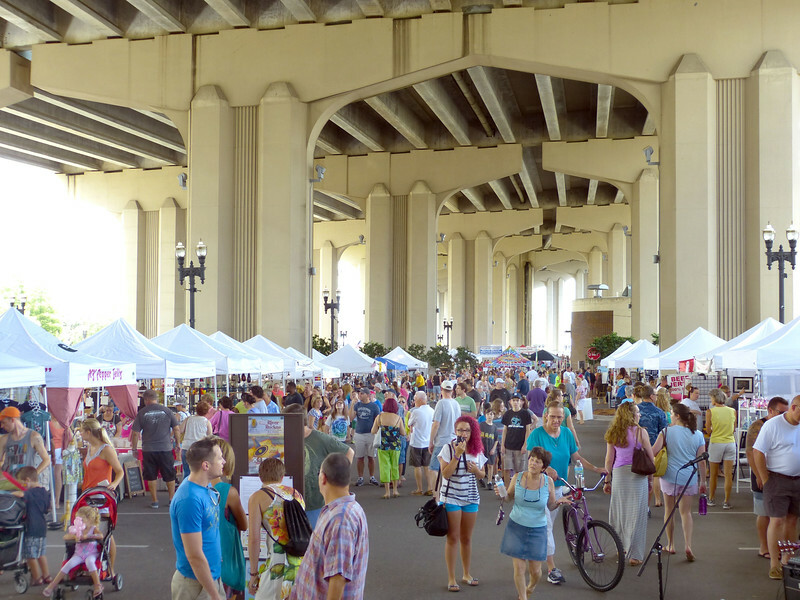 Located beneath Jacksonville’s Fuller Warren Bridge and I-95, the Riverside Arts Market draws an average of 7,500 visitors and more than 100 vendors every Saturday from 10 a.m.to 4 p.m. Managed by the non-profit Riverside Avondale Preservation, the Riverside Arts Market originally began in 2009 through a unique coordination between public and private partners. 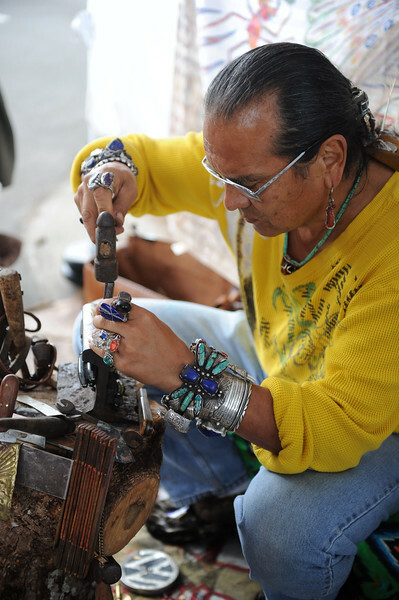 The idea began in 1993 after long-time community activist Dr. Wayne Wood returned from Portland, OR and gained inspiration from visiting the Portland Saturday Market. Wood and friend, Doug Coleman, realized that the weatherproof market idea would be a great use for the space under the Fuller Warren Bridge, which was then in the planning stage for replacement. Originally, the space was slated to serve as a retention pond for the bridge expansion. Wood, who also founded Riverside Avondale Preservation, eventually convinced the Florida Department of Transportation to redirect landscaping funds towards the creation of a multi-use public space. 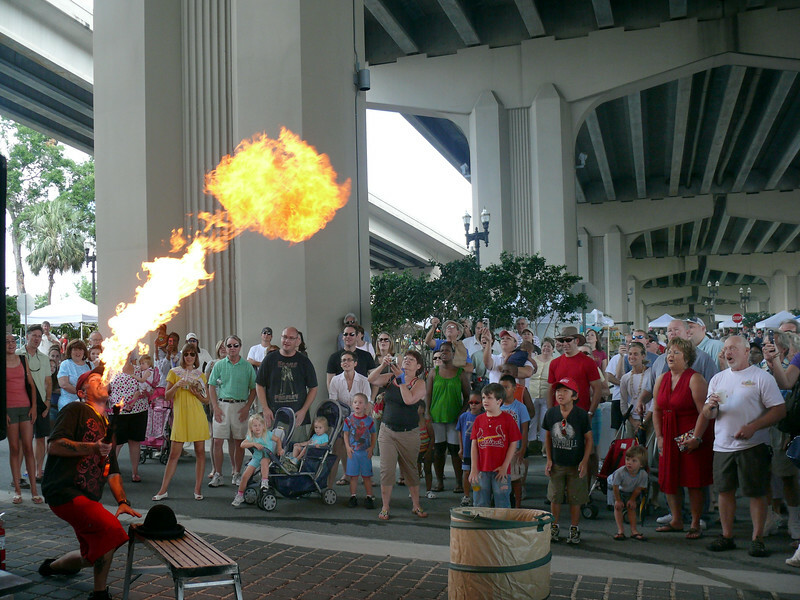 Later, funding was also secured from the City of Jacksonville, the Jacksonville Electric Authority, and Fidelity National (a Fortune 500 company headquartered in Jacksonville, adjacent to the present-day Riverside Arts Market site). Landscaping, bike racks, pedestrian pathways linking to the Northbank Riverwalk, on-site permanent restrooms, lighting enhancements, utility infrastructure, and a riverfront amphitheater were all constructed to create a flexible space officially called the Northbank Riverwalk Artists’ Square. Fidelity National employees park in the space Monday through Friday, which doubles as a unique public park on the weekends. 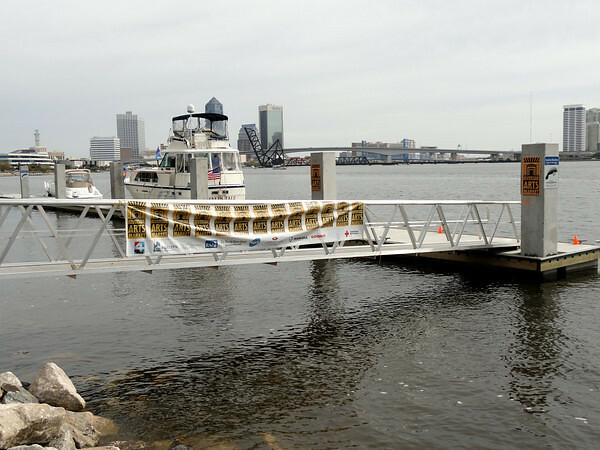 In 2011, the City of Jacksonville constructed a 200-foot floating dock next to the market to accommodate visitors arriving by water. 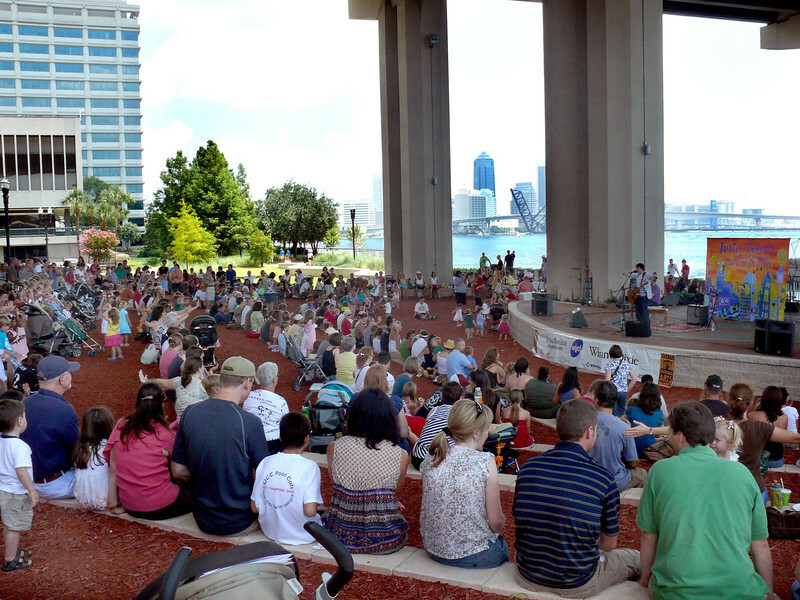 Market goers routinely see dolphins playing in the river off the riverfront stage.